So, we’re smack bang in the middle of the Winter wedding fair season and having done The Lawn, Rochford and The Rayleigh Club, Rayleigh fairs (also the open day at the very lovely Old Parish Rooms in Rayleigh too) we’ve met lots and lots of happy couples planning the best day of their lives, which is always soooo lovely. We’re also exhibiting at Hylands House, Chelmsford on Sunday 18th February and at The Chichester Hotel, Wickford on Sunday 4th March – very exciting! 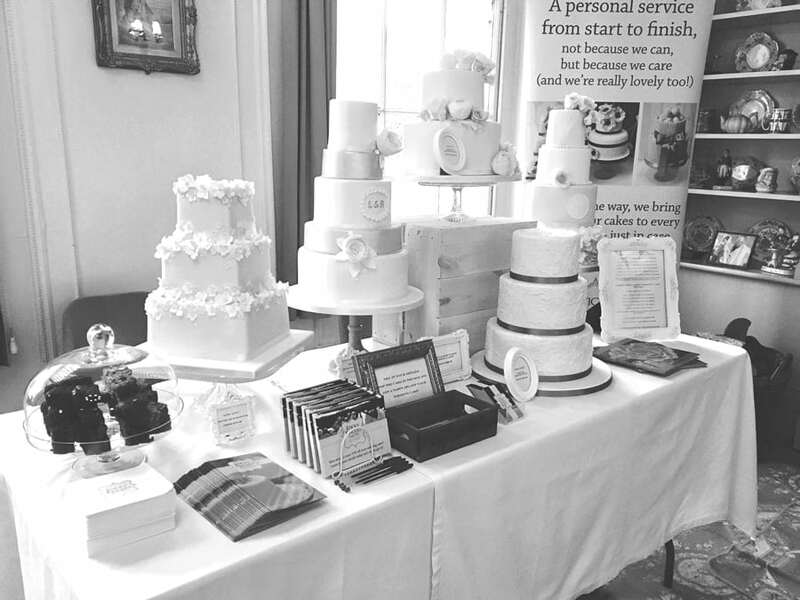 And don’t forget, every time we exhibit you get the chance to get a tasty 10% off your wedding cake if you fill in one of our contact postcards – every penny counts, right?! We’re having plenty of enquiries for 2019 and as I’ve said before, couples are getting super organised and booking all their wedding suppliers pretty much as soon as they set their date and venue; so please don’t leave it to the last minute, we’ve had to turn down a few couples who wanted Sticky Fingers Cake Co to make their wedding cake this year, and we hate to say no!